? any comment on how it handles the ground ? The ground is very mild where all this junk is. Not a bad little detector for that. We then left him to his detecting, and went back to a patch we are working. The gold is on part of an old pocket knife.. 0.53 grams. 4 Gold Monsters on Aussie Ebay. What is it that people do not like about this detector?? well i have one and i think its a very good entry level detector for a beginner,also simple to use,lightweight with an excellent battery. having said that i have yet to find gold but am working on it. found plenty of rubbish with it and a lot of coins,well suited to beach detecting i have found. adrian ss wrote: 4 Gold Monsters on Aussie Ebay. Does it GB to wet beach sand. Yeah I know you like it Jen and have found gold with it. Although it Seems as though the Monster is not suited to Aussie high iron mineral ground. From what I have read on other forums, Some people in the States prefer the Whites GMT and the Gold bug Pro over the GM. My GB Pro will not detect small gold of a few grams through iron rocks one or two cm thick but it will detect them on the surface of such rocks. On the other hand the old Scorpion Gold Stinger could do that. I guess it is a case of using the right tool for the job and existing mineral conditions. Going to give ours a run on the beach tomorrow. I'll let you know how I go. If it can handle the wet salt then it will be great for light weight jewellery. How many people can say that they have found a lot of gold chains at the beach? Not many I would say. Most detectors VLF or PI have very poor response to gold chain. So a good high frequency wide range .Auto ground tracker will do well. My old Whites V-sat is very good on gold chain in the dry sand as is the Gold bug pro and the GB has the advantage of being able to get down to the water line and still achieve good depth on chains, not just near surface stuff. The lightest 18ct chain I have found with a VLF is 3.5g and 23 cm long. This was found with a Whites Spectrum XLT which pinged it with ease in dry sand at roughly 6 inches down. Am keen to hear how the Gold monster performs on the beach. Well folks I took the GM1000 down to one of our local beaches for a couple of hours this morning. For the first lap I had the sensitivity set on 9 which gave me a lot of moaning and groaning and numerous indications on the bar scale. Soon learnt to ignore these and wait for the higher pitch signals. Found that when I swing the detector towards the water I would get more noise than swinging away from the water. I checked this by facing the other way as well. The closer that I worked to the water gave more noise. Working the drier sand was definitely the better option. 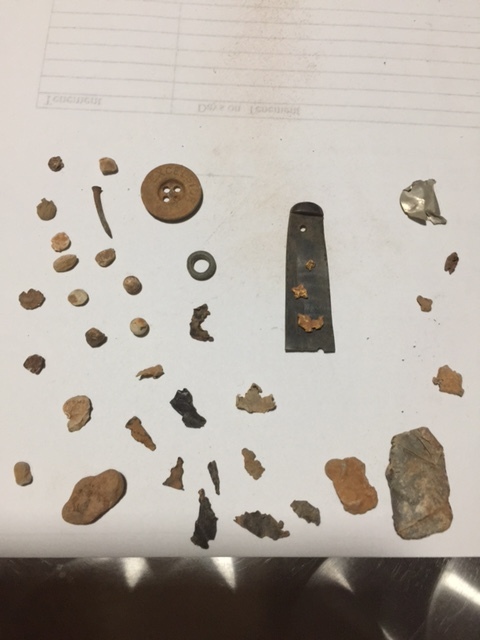 Found bits of iron, d shackle, 20cent piece, bottle cap, bit of alloy and several stones. These stones are not quite as light on pumis and a bit darker in colour. The next lap was in Auto plus sensitivity and about 95% of the noise and extraneous indications were eliminated. 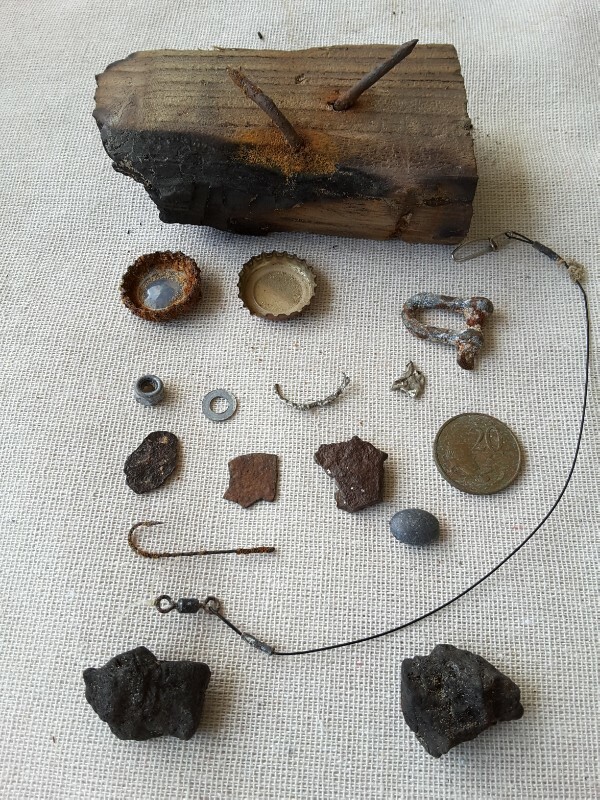 Found bottle cap, sinker, hook, trace, alloy, iron, washer, nut, stones and bit of wood with the 2 4" nails. Definitely more user friendly in this mode. The deepest items were the sinker and 20 cent piece at about 15cm. One bottle cap (newer cleaner one) gave an iron signal while the older rusty one gave an alloy/gold indication. All the signals were a higher pitch. I am no GM1000 guru and these findings are just what I have learnt this morning. Many more trips to the beach to learn more and then I will have to take it back out to try for gold again. I am not going to give up on it and after today I have more confidence in it's ability and mine. Oop sorry for the slow response. Seems like the GM is a better gold machine than a beach machine....Probably why it is called a gold monster. I find myself taking an interest in the Equinox 800 as a replacement for my safari. 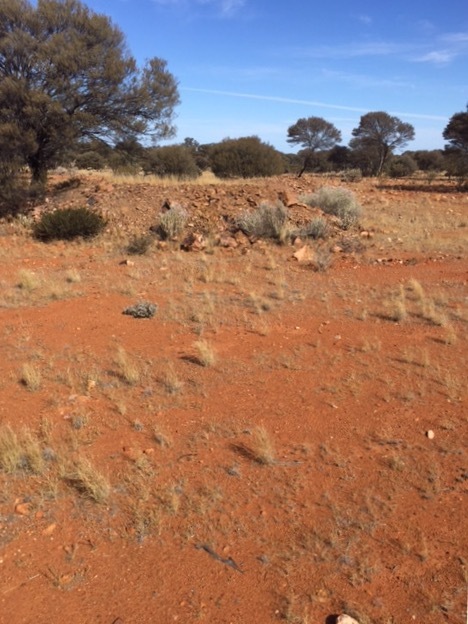 My safari is not much value in iron mineralised ground. ... But on the other hand it is dynamite at the beach. ....But then again it is not flash on light weight gold chain. Then on the other other hand, my Gold bug DP does it all very well. Argh bugger ut! I will just stick with what I have got. Sounds like you did not give the Monster a good try out? Gold does not jump out of the ground every time you go out. You need patience and perseverance. You could go months without a sniff of gold or you might stub your toe on a sun baker the first day out, and it helps a bit if you go to where gold has been found close to the surface or try your luck on some mullock heaps as a start. Is anybody still using the Monster? still have ours, in no rush to sell it but hardly gets touched now that we have the SDC and the GPZ. Do you think the GM would suite a newbie with a low budget or do you reckon it would drive them away from gold detecting ? In other words; is it really all that noisy over mineralised ground, enough to make a man want to wrap it around a tree? It's just like any other detector Adrian, you just have to get to know how it works and performs to the areas you work. I'd like to think that it would be just right for a beginner to use and learn. Ok Thanks mate.....Some food for thought. Hi Adrian. I just checked out Ebay tonight and there was 8 monster 1000 detectors for sale. Three or four were from dealers and about four others were from private sellers. Also on Ebay four were sold for about $999 maybr dealers not sure but. Also I take it that you did not purchase one. No did not get a monster. My 2300 and Gold Bug Pro have performed very well at the beach. I have just grabbed a TDI OZ which did not impress me at first but now that I have figured out how to use it I have changed my mind. It was a bit tricky at first due to the rut that I had got into with other more normal PIs although I will say that it would not be a first choice for beach work. If it is used in the All Conductivity mode only, then it would be OK for the beach. I found a very informative video on Youtube for anyone interested. 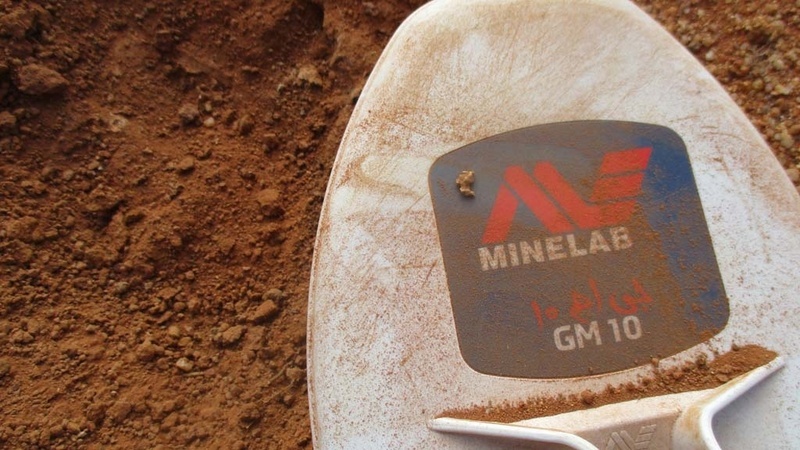 Then type, MINELAB GOLD MONSTER 1000 IN DEPTH ANSWERS to subscribers. very easy to use,lightweight,uncomplicated screen and user friendly. Excellent to use in parks,reserves and in the bush but for detecting beaches it struggles a bit. Cannot handle wet sand unless you decrease sensitivity to the point where you lose a lot of depth,is ok on dry sand but still chirpy. Now i have an equinox 800 ,beach detecting with this is sensational,very quiet on dry and wet sand,excellent at locating targets at depth and good wireless headphones that are comfortable to wear. 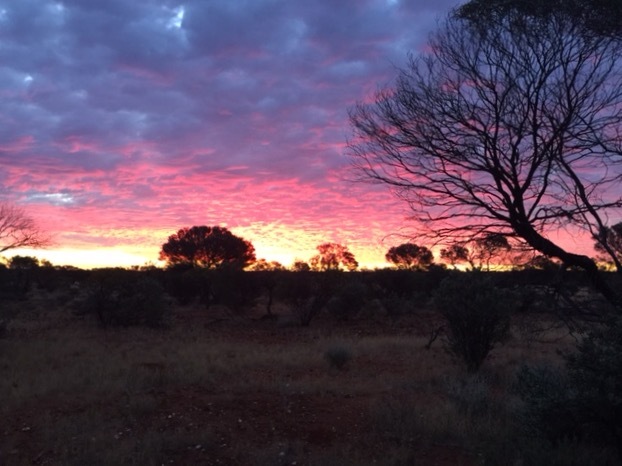 there is more deeper digging now but the equinox is a game changer for sure.....mark. Tassie Gold, how is depth overall between the two machines, the gm1000 and equinox? Never mind I bought a 800 and tested myself w/6" coil, and sold already after a week long trip in the outback it wasn't my cup of tea. I think the GM1000 is the best vlf nugget machine out there right now. Several of my friends use one very successfully, I am buying one before next spring.